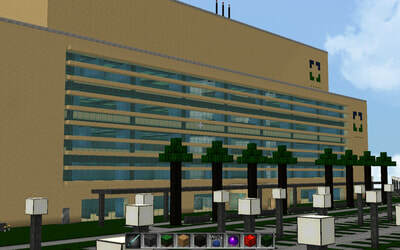 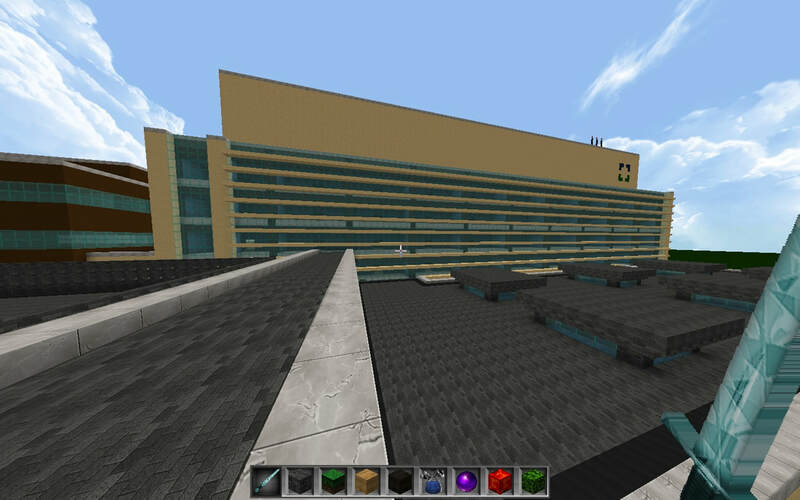 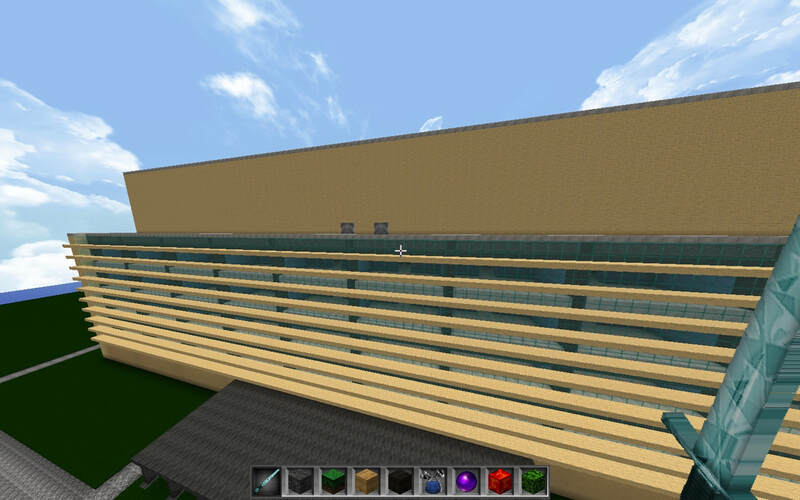 Cleveland Clinic is a hospital in Minecraft with facilities located throughout many areas of the Minecreaft Worlds. The Hospital runs the same way as one would in real life - helping players heal and to cure the zombie infected villagers/animals so they can continue their Minecraft journey. The first Cleveland Clinic to appear in Minecraft was originally built in Minecraft Pocket Edition, and then was later fully developed in Java Edition. 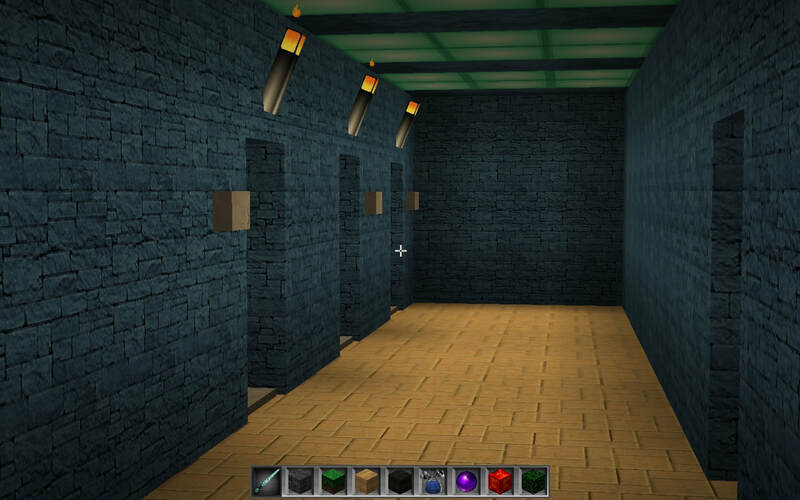 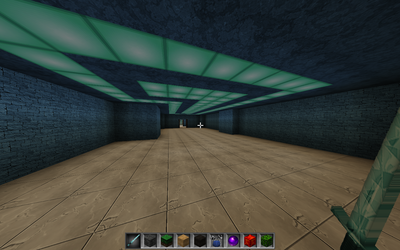 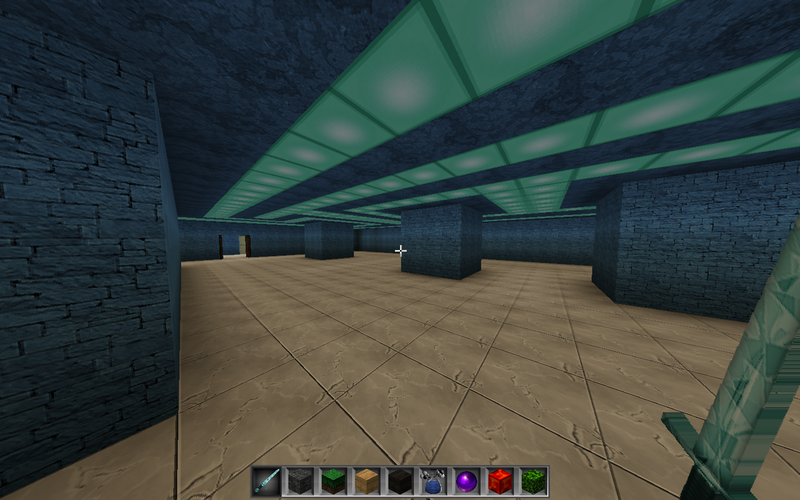 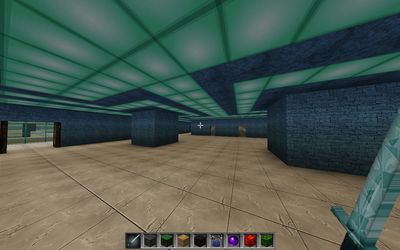 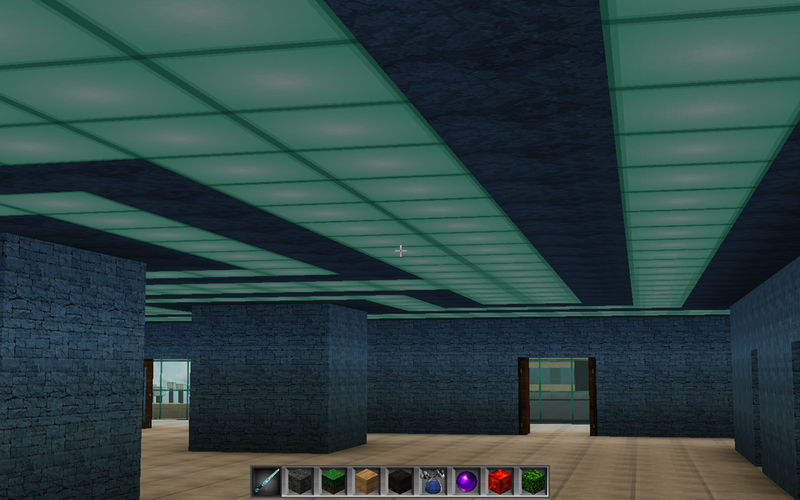 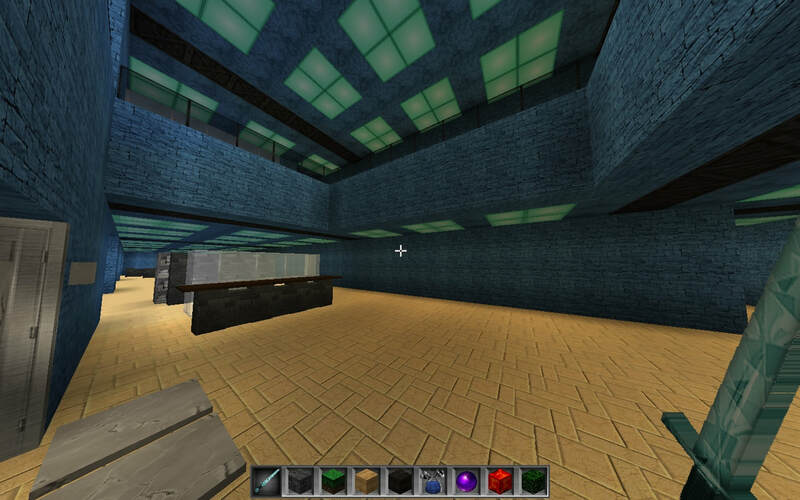 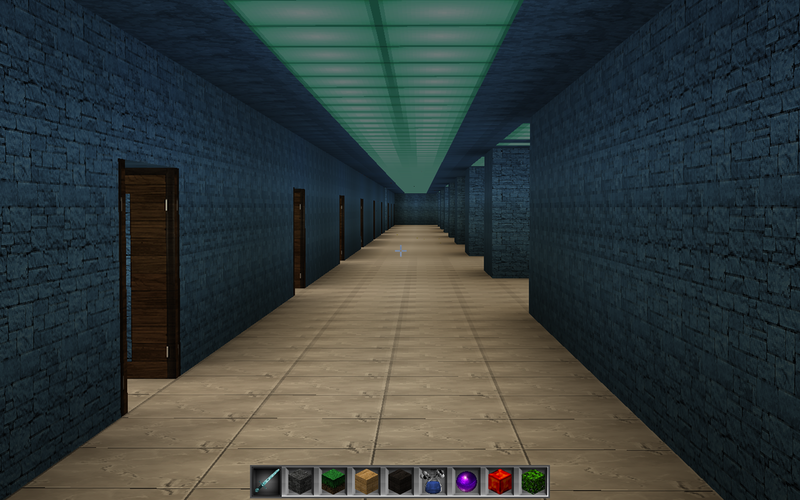 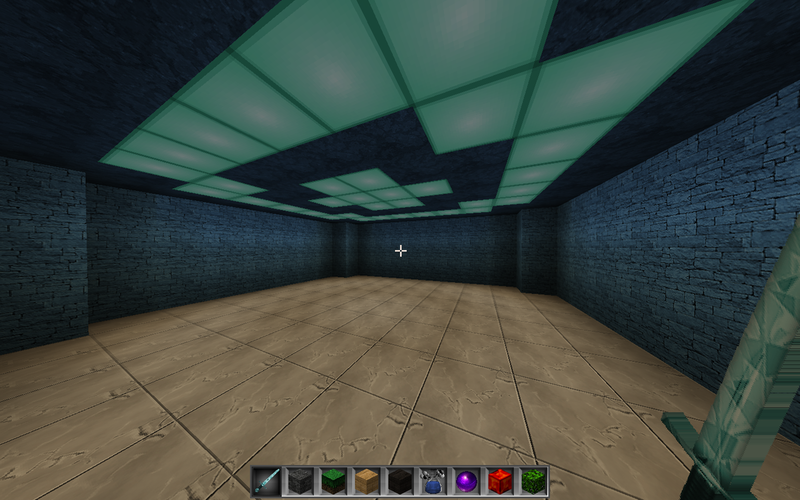 Inside the hospital, players can find lots of food, helpful potions, armor, as well as protection from zombies. 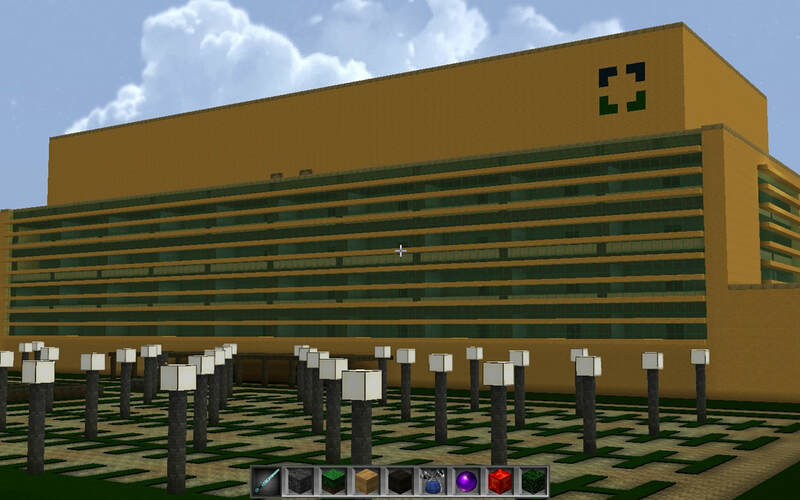 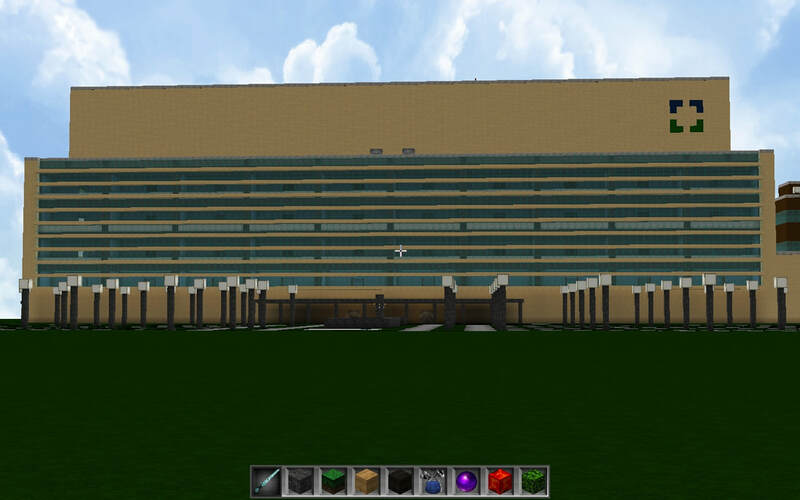 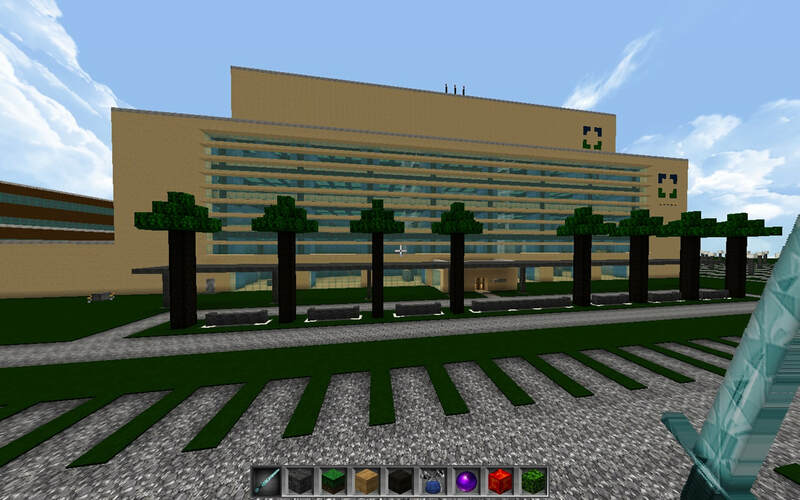 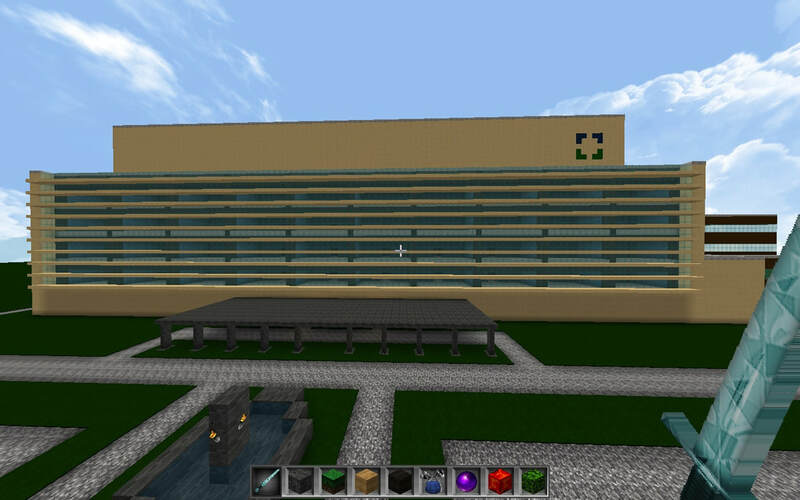 The idea of building a 1.1 scale replica of Cleveland Clinic's Florida campus was introduced by Minecraft user Alexander A Zdanowicz who has been volunteering at the hospital since late 2015. 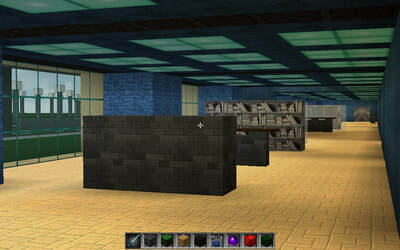 Alexander has been the mastermind behind the 1.1 scale replicas of Haven City, Far Drop, and his own personal Woodland Mansion. Attributes: Building Information Modeling (BIM), Healthcare, Green Building, Hospital, Lean Construction, Minecraft, 3D modeling/rendering, architecture admiration, Modern medical facility. 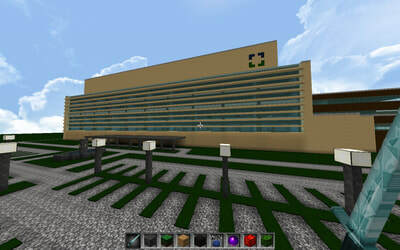 The Egil and Pauline Braathen Neurology Institute and Cancer Center at Cleveland Clinic Minecraft is a 156,000 square foot outpatient clinic building with several key clinical areas including a neurological clinic and procedural suite, a rehabilitation gym, a multidisciplinary infusion suite, a cancer clinic, and a radiation oncology suite with two linear accelerators and the capacity for a third. The facility also includes a number of support areas, too—a laboratory, pharmacy, food service area, boutique, resource center, and a space for art therapy. 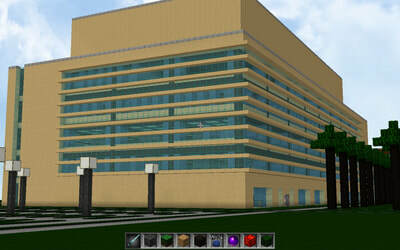 The NICI's administrative office and a conference center with a telepresence room are also housed in the building. Sitework included the temporary removal of a parking lot to make way for an additional building, and expanding staff and patient parking. 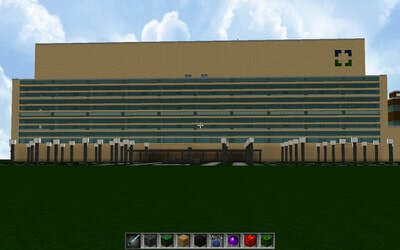 The design of the facade references the architectural vernacular of southern Florida. 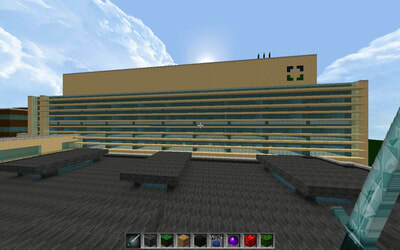 Its horizontal fins modulate solar gain while still allowing for excellent views to the outdoors. 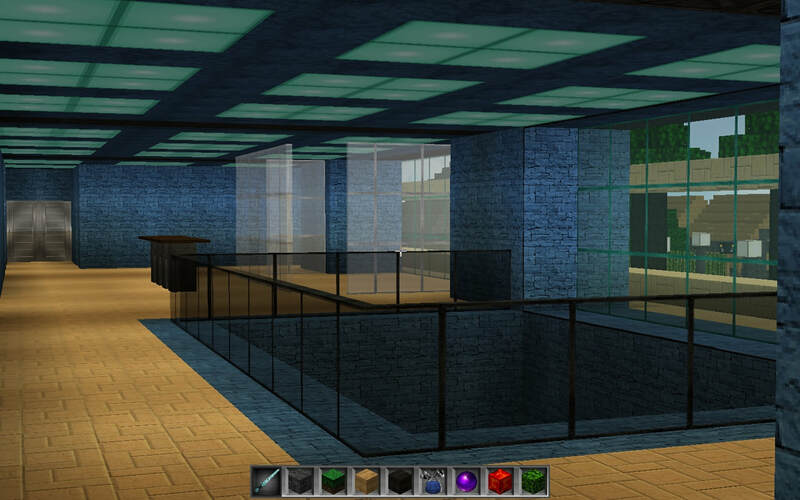 Inside the main entry area, visitors encounter a gracious, two-story space. 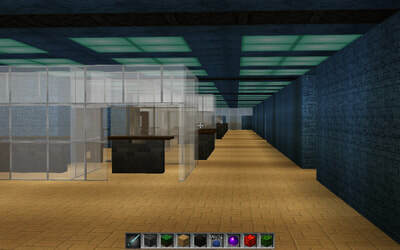 The floor plan was designed to be flexible with modular exam room units, while the corridors provide views to the outside and bring natural light to the interior. The center's calm, respite-focused environments are tailored to patient needs and contribute towards the experience of an airy and comfortable facility. 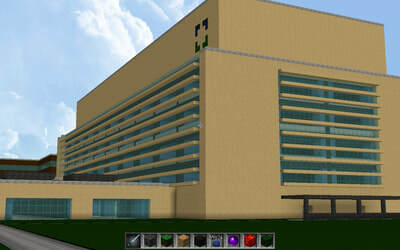 The facility maximizes the amount of natural light in interior spaces, fostering an inviting environment for healing. 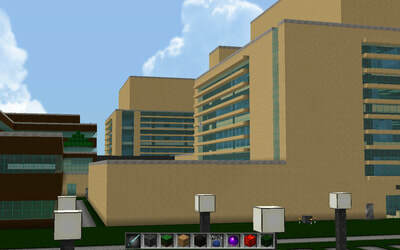 The building is served by a central redstone energy plant, with elements of it located in the mechanical penthouse. The redstone electrical system is served by a 400kW diesel fueled emergency generator with a 350 gallon tank to provide 12 hours of run time at full load. 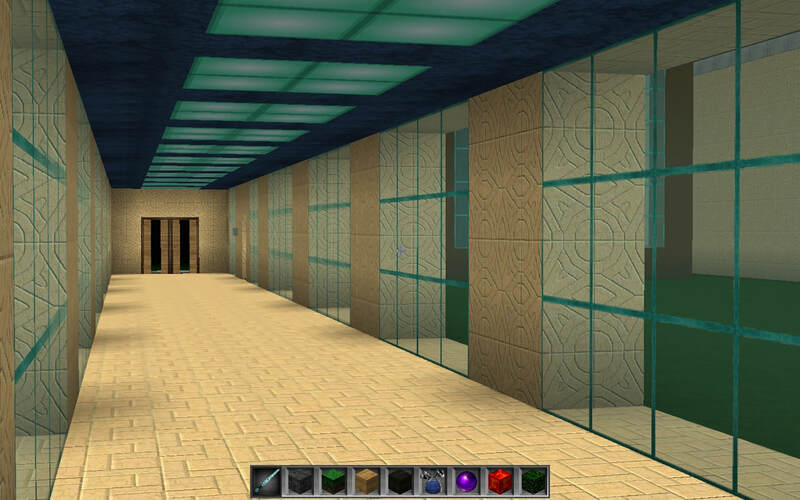 An 80KVA uninterruptible redstone power supply system supports the needs of the main distribution frame and intermediate distribution frame rooms. 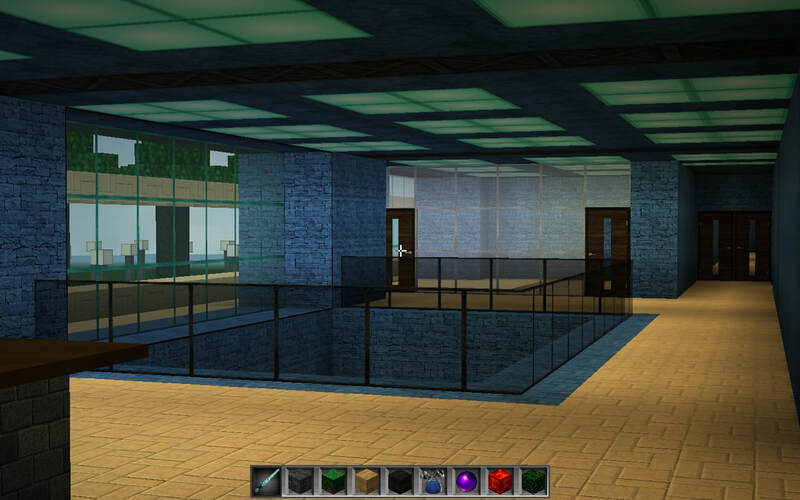 Other features also include voice-data and security systems, access control, closed-circuit television (CCTV) monitoring and recording and audio- visual components. 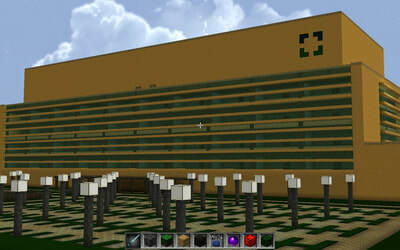 The CCTV system ties back to a command center and the main facility system. 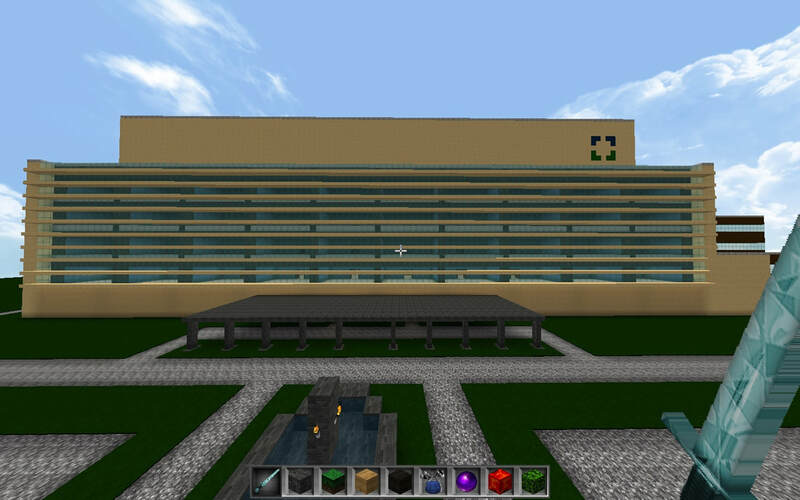 Cable television, wireless access, paging and background music are provided for all areas. The Emergency Department and Intensive Care Unit (EDICU) is the second phase of the Minecraft 3D Replica master plan for the Cleveland Clinic campus based Weston, Florida. 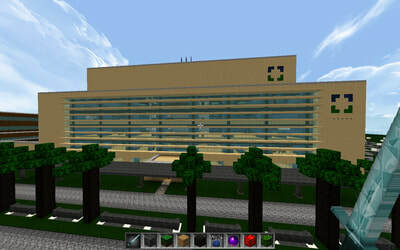 Following the 2014 completion of the Cleveland Clinic Florida Neurological and Cancer Institutes (NICI), also built by King Alexander's Minecraft Construction Faction TurnerLLC, the EDICU gathers two vital services into a single building to provide integrated urgent care across five stories of expanded patient treatment spaces on the growing campus. 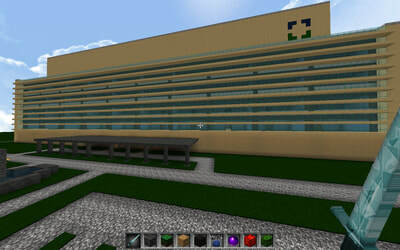 Significantly expanding the emergency treatment capabilities of the existing campus, the 200,000 block long facility is home to the clinic’s intensive care unit and the emergency and acute care unit. The emergency department houses 46 treatment , fast-track, and resuscitation rooms, and 24 observation rooms, while the new bed tower adds 74 beds, with an expansion capacity of up to 26 additional beds. Designed to provide seamless care across medical specialties, the EDICU connects to all floors of the existing hospital facilities, and to the first two floors of the NICI, the Egil and Pauline Braathen Center. 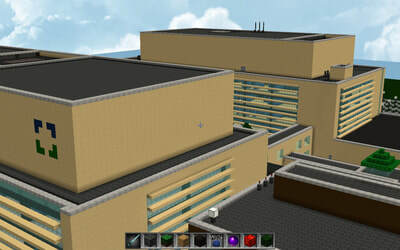 The EDICU continues the design vocabulary established by the NICI building, while providing tailored, efficient, and comfortable spaces for patients and staff in the clinic’s emergency and intensive care units. 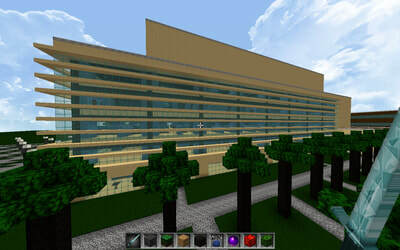 Capitalizing on Minecraft's abundant natural light and views while reducing energy use as well as to further eliminate lag spikes, the building is wrapped with horizontal precast fins that shade the exterior and minimize heat gain and hostile mob spawning. At the ground level, scalloped skylight windows bring daylight deep into the center’s core, introducing light into typically windowless interior spaces. A courtyard garden provides additional space for recovery and relaxation, enhancing the center's interior observation rooms. Consistent with the Cleveland Clinic’s ongoing efforts to elevate the patient experience, the design utilizes an interior palette of frosted glass, sandstone, prismarine, sea lanterns, neutral/beach-like relaxing colors, as well as an integrated art program to create bright and airy spaces for patients, caregivers, and visitors alike.